Agricultural supply chains can only be called sustainable if the rights of both men and women are protected, if they both have equal access to knowledge, resources and decision making structures and when both men and women have the liberty to make their own choices. However, there is an imbalance when it comes to opportunities and rights. Women farmers and workers are less likely to have access to education, loans, training or own land. The burden of household chores and childcare still fall overwhelmingly on women’s shoulders. We asked Julius Ng’ang’a, country representative for Kenya, how gender equality can be promoted as an integral part of sustainable farming. Both men and women farmers play an important role in the agricultural production process, but women farmers are often not valued as such due to social norms. They can face difficulties to have access to land or tree ownership which is usually necessary to become a member of a cooperative. This again, means they have limited access to information, innovation and resources related to production. Lack of access to these resources means that women farmers are less able to farm sustainably, have lower productivity rates and cannot voice their needs. Sustainable agriculture cannot be achieved without addressing gender inequality. Gender equality is a human right that should be protected. Moreover, it is an effective strategy for economic growth and poverty reduction, as the potential for women to increase their productivity is high. The impact of an improved situation for women can also be felt by the whole community, as women tend to invest their earnings and efforts mostly in the family and the community. Only by ensuring that men and women farmers, smallholders and workers have equal access to and control over knowledge, opportunities and resources, that their rights are respected and that they are able to voice their needs will a sustainable future be possible. 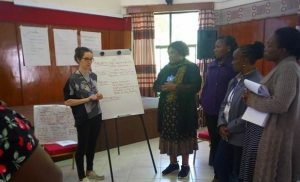 Session ‘Mainstreaming gender in projects’ part of a Sector Partnership workshop in Kenya. We collaborate with key stakeholders in different countries to share knowledge on the effects of gender inequality and best practices to address these issues in the coffee sector. In Nicaragua, for example, the Sector Partnership program is working together with Coffee Quality Institute’s Partnership for Gender Equity in a project designed to build women’s leadership skills and economic empowerment. 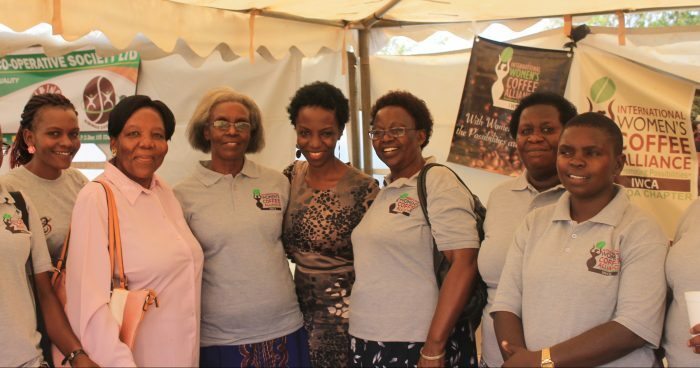 The International Women’s Coffee Alliance [IWCA] is a network of independent organizations in 22 countries aiming to empower and represent women across the global coffee industry. In Uganda, Kenya and Honduras we collaborate with the local chapters of that organization with the aim to strengthen the staff’s organizational capacity and advocacy skills to enable them to promote more gender sensitive policies and strategies on sector level. 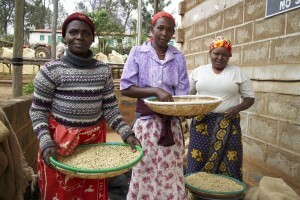 “Mainstreaming gender in the coffee value chain makes better business sense. Building capacity of over 70% of farmers who are women will not only lead to better crop yields and quality but will also improve livelihoods for millions of coffee farming households,” says Julius. In Uganda, the Rainforest Alliance is also working together with local actors, like traders. 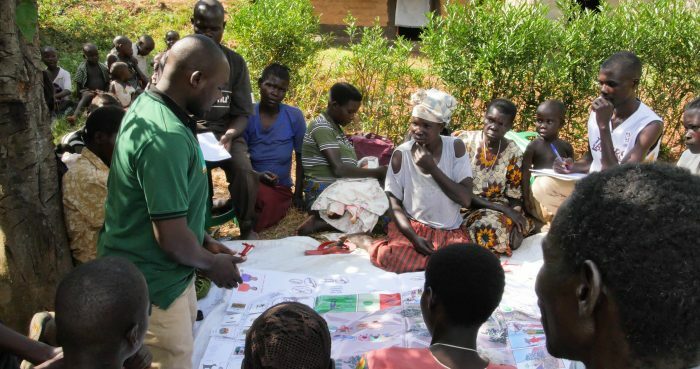 These train both men and women farmers to look at roles and responsibilities and develop a vision on shared decision making and income distribution within the households. One of the tools being used is the Coffee Game, which combines teaching of gender equality practices and good agricultural practices. Better access to income for women and more time available, will give them equal opportunities and a better future. Do you want to know more or tell your customers about how you contribute to addressing gender equality by sourcing UTZ certified ingredients? Check our marketing toolkit on gender equality and use the materials in your communication. How can National Coffee Platforms help make the global coffee sector more sustainable?